We present you five tips that will help you effectively clean and sanitize your bathroom, removing the unpleasant odor. Although bathroom cleaning is not the most entertaining and favorite thing to do, it is something that we all must do occasionally, at least once in a week. But did you know that there’s a way to clean your bathroom in a quick and effortless way? These tips will make sure you never have to clean your bathroom in the harder way ever again. 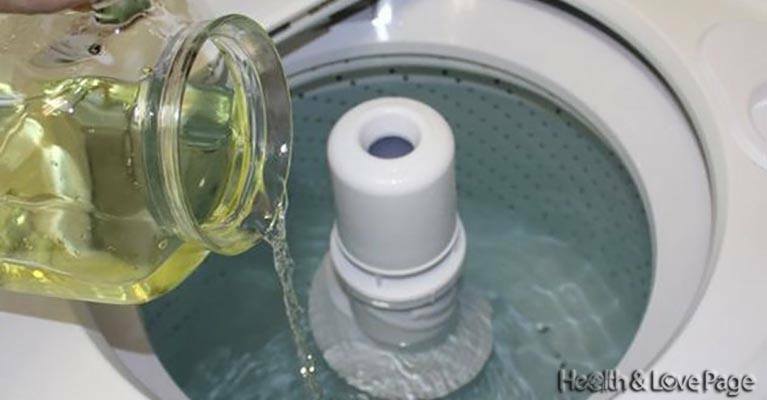 To clean your mashing machine, fill it with hot water and add ¼ bottle of apple cider vinegar. Then, begin a short cycle and allow it to rotate for a couple of minutes before you turn it off. Allow the solution act for an hour, before you start the longest cycle. The results will be astonishing. 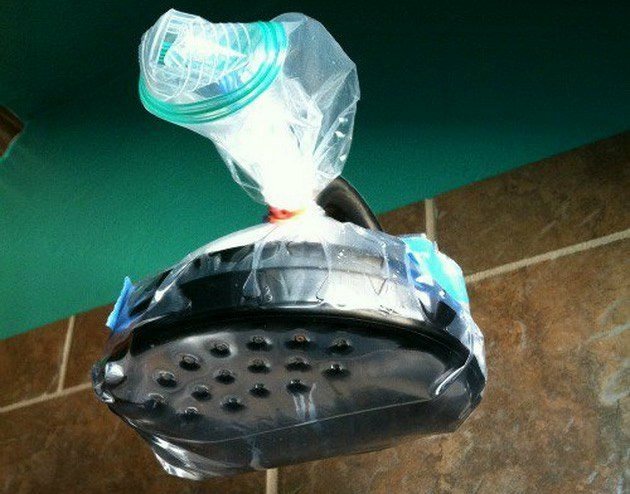 To clean the shower head, you need an empty plastic bag, a cup of apple cider vinegar, and a rubber band. Pour the vinegar in the plastic bag and with the help of the rubber band, secure it to the shower head in the way that the head will be completely submerged in the vinegar. After an hour, wash with clean water. Your shower head will be shiny and disinfected. Mix a/4 cup of hydrogen peroxide, ½ cup of baking soda, and a teaspoon of dishwasher detergent, and use this mixture to clean your floor easily. 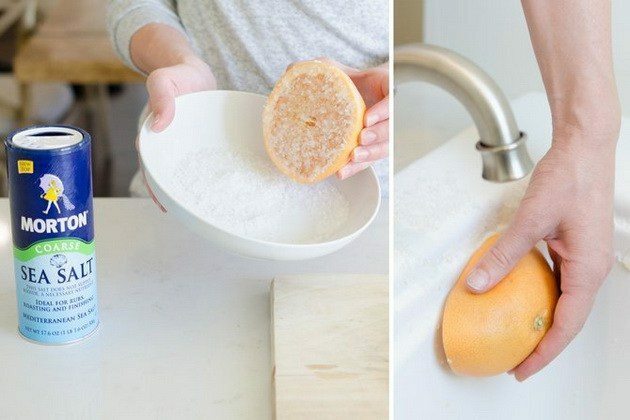 Use sea salt and grapefruit to clean your bathtub in the easiest way. Rub all over the bathtub with a half grapefruit dipped in sea salt. After that, rinse with water. You can use the same method to clean your kitchen cutting board. Prepare a mixture with potassium bitartrate and lemon juice, and use it to clean the rust in your sink. Rub it with a toothbrush, and rinse with water. The quickest and most effective way to clean your toilet and get rid of the bad odor is with a mixture of baking soda, lemon juice and apple cider vinegar.